THIS is an au-some post. Yes, the term au-some is fine. 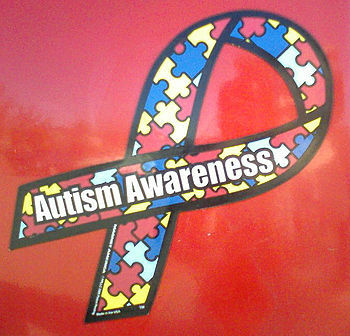 Just don’t tell me that autism is au-some because it’s NOT. Don’t Mess With Special Needs Parents! 7. Chances are it’s been awhile since we’ve had a full night of sleep and that will give us a reason to plead insanity. 8. Our tolerance and patience is for our kids who didn’t choose to have special needs, not for someone who CHOOSES to behave inappropriately and is ABLE to control their actions. 9. We’re probably already on edge and it would be stupid to push us over. 11. We’ve had to fight from the moment of our child’s birth so by the time you piss us off we’re seasoned battlers and could win a war. 12. We devote our lives to our children and don’t need more stress and people who don’t understand our life. 13. Wherever there is a cub, there is a mama bear or Papa bear…We’re always watching. Just re-reading some fun autism posts I’ve got saved in my bookmarks and I just have to share this one….. it ROCKS. We’re Expecting………… SNOW this week! Hooray! In all seriousness…….. we conceived the twins through IVF. They are our only children and they both have special needs. So of course, the question is…. will we have more children. Would we like to experience parenting a neurotypical child? For the next 3 years or so, the answer is DEFINITELY no. We don’t have health insurance. We’re completely overwhelmed. We’ve hit a rough spot because I just don’t have the time to work enough hours to pull us up from the financial rough spot. In 3 years I’ll be 42 years old and that will be my last chance in my opinion. I’m not giving up on the frozen embryos just yet just in case a transfer is in our future. But it’s at least three years away. What about you? IF you choose to share….. if you’re a special needs mommy, are you planning for more children? Why? Why not? It’s an invasive question—- ignore it unless you WANT to share. I couldn’t possibly write any better than my friend here about this concept—- people telling us they know a kid with autism who……. — please read this, it’s good stuff.